September’s Blended Learning Hub learning campaign focuses on gamification and game-based learning, both popular modern learning models. One example of gamification that I use every day is my FitBit. It gives me positive feedback when I reach certain levels. It physically celebrates when I meet my step goal! It vibrates and flashes and has a party right there on my wrist. When that happens I join the party! Whoop! Whoop! I did it! Hooray! Another example is, I drive a hybrid car and there is gamification there too. I get green leaves on my display when I am driving well. It displays my mile per gallon stats where I can see them. This ‘game’ encourages me to drive better to increase my stats. I have to admit I don’t like it when my teen age son drives my car because it lowers my stats and I am competitive with myself. Oh and my husband drives a hybrid too so we have a good natured competition to see who can get the best MPG. He consistently wins though. I think I may need to work on smoother accelerations! Incorporating gamification into your daily routine is a fantastic way to combine learning with daily life. It not only clarifies the theoretical concepts in a tangible way, but also strengthens your mind/body connection (which experts have shown is essential to success*). *The content presented is informational and general knowledge only. Please seek professional input or advice in specific areas of interest. What does this mean for your mind/body connection? You will have a unique experience with every game or technology you leverage. Something that helps your friend achieve their goals, may not work for you. Explore your options with an open mind and be willing to experiment with different approaches. Playing games can increase your lifespan! Yes, it is true; there is math (science) to back it up. Jane McGonigal, PhD is a world-renowned designer of alternate reality games — or, games that are designed to improve real lives and solve real problems. Watch her TED Talk, The Game that Can Give You 10 Extra Years of Life. Up your fitness game! Adding the elements of gamification that include assessment, assigning a plan of workouts, and coaching that contains motivation and accountability will increase your chances of success. I found https://www.fitocracy.com/ and it has all this and more. You can set your fitness goals in many different categories such as weight loss, strength gain, nutrition, and more. A little friendly competition can be a fun thing! Check out http://www.gamesfitness.com for free fitness games for single players, small groups and large groups. Jacob Bedard, a personal trainer that used to teach elementary school physical education, created this fantastic site full of fun and fitness. You will find fun games including Cards Against Obesity, Burpee Yahtzee, and Amazeballs! 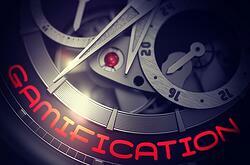 Want to learn more about gamification and game-based learning? Looking for guidance on how to apply it effectively in your training and educational programs? Join the Blended Learning Hub today for tools, frameworks, research, job aids, and live events all focused on this approach.